Régis Brun has written a book on Shediac's history. A town rich in history and culture, Shediac was the site of the first shipbuilding yard and the first steam sawmill in New Brunswick, as well as the first passenger railroad in the Maritimes. Native tribes inhabited the Maritimes more than 10,000 years ago. The Micmac encampment of Es-ed-ei-ik was one of the major camps in southeast New Brunswick. The Micmac word Es-ed-ei-ik , which means "running far in", has become Shediac. Archeological sites dating before the presence of white man were discovered on Shediac Island and at the mouth of the Shediac River by archeologists Ganong and Wintemberg at the turn of the century. The artifacts found suggest that a structured, heirarchical society living off the land, hunting and maybe from crops, inhabited the area. Numerous bones found on Skull Island suggest that the small island might have been used as a cemetery and/or was the site of major battles. During the war between France and England, the French built a fort, several houses and warehouses to resupply the troops on Gédaïque River. Gédaïque eventually was spelled Shédiac but today the name is often seen without the accent. When the Town of Shediac incorporated the accent was ommited for some reason. Many in the community would like the spelling to keep it's french influence by re-introducing the accent on the letter e. Shediac Bay was a crossroad between the Bay of Fundy, then called the Bay of French, and the Mer Rouge (Red Sea or what is now called the Northumberland Strait) and provided access to the Petitcodiac River, the Shediac River and the Scoudouc River. When referring to Shediac, or La Batture as it was also known, Shediac included all the communities surrounding Shediac Bay from Cocagne to Barachois. To this day the word Shediac is still used by many acadians to describe the entire Shediac Bay area. During the great acadian deportation, a French officer, Charles Deschamps de Boishébert, with the support of the Micmacs took 600 Acadian refugees south of Cocagne Bay during the winter of 1755-56. A few years later, around 1768-69, some Acadians settled in the area now known as Shediac Cape . When the English settlers arrived to claim their concessions, the first one being William Hanington in 1785, many Acadians had to leave their land but some were allowed to stay. In 1787, the Acadians were granted land in Grande-Digue and then in 1791, in the area that is today as the municipality of Shediac. The history of the Town of Shediac is closely linked to transportation. The second railway line in the Maritime Provinces , inaugurated in 1857, connected Pointe-du-Chêne, Moncton and Saint John. The first ferry service to PEI in 1858 linked Shediac to Summerside. The first transatlantic hydroplane flight from Europe to North America landed in Shediac in 1927. 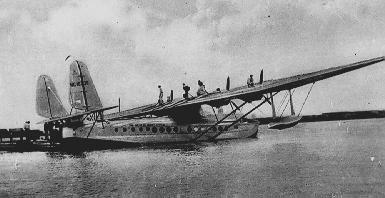 In July of 1933, an air fleet commanded by the Italian General Italo Balbo crossed the Atlantic and landed in Shediac Harbour. Pan-American Clipper planes stopped in Shediac between 1937 and 1939, with onboard such celebrities as Greta Garbo, Bob Hope and Edward G. Robinson, as well as Queen Wilhemina of the Netherlands. . The nearby Pointe-du-Chene wharf was instrumental in the fishing industry, exportation of potatoes and forestry. Senator Pascal Poirier (1852-1933) was the first Acadian to hold such a distinguished position. He was a nationalist who wrote many works including an uncompleted glossary of Acadian French words still considered to be a reference on the cultural and linguistic origins of the Acadians. Placide Gaudet (1850-1930), originally from the parish of Cap-Pelé was one of the first genealogist and historian of this region. He wrote a history of the Acadians and more than 200 other works. Dr. John Clarence Webster (1863-1950) was a pioneer in obstetrics. He taught at McGill University in Montreal and later accepted the chair of obstetrics at the University of Chicago. He came back to Shediac to retire at the age of 51. He wrote a treatise on genealogy in America. He was is said to be responsible for the restoration of Fort Beauséjour and other historical sites. Israël J. D. Landry was the founder of, Le Moniteur Acadien, the first French language newspaper in the Atlantic provinces published in Shédiac in 1867.